We aren’t too proud to admit when one of our competitors has a strong vehicle. When it comes to crossover SUVs, customers have a lot of excellent choices. 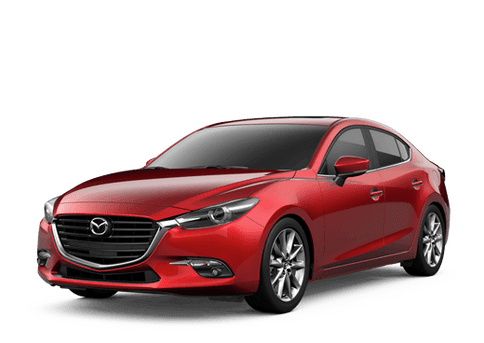 For the new model year Mazda has improved its largest entry into the class with more than enough new technology to compete with anything. An examination of the 2019 Mazda CX-9 vs. 2018 Honda CR-V will be an excellent illustration of the former’s improvement in the segment. 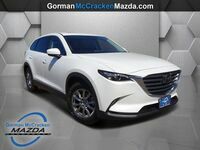 The 2019 Mazda CX-9 has arrived at the Gorman McCracken Mazda showroom. Most trims will have an infotainment system that is compatible with today’s most popular smartphone platforms as well as a maximum towing capacity that is one ton higher than that of the current Honda CR-V. Customers can schedule a test drive with the 2019 Mazda CX-9 today by calling, 903-686-9319. By and large, automaker’s like Mazda have all but perfected the recipe for the physical requirements of crossover SUVs. When looking at vehicles like the 2019 Mazda CX-9 and 2018 Honda CR-V through that lens, the two vehicles are pretty evenly matched. Both have very impressive dimensions for maximum available interior cargo space. 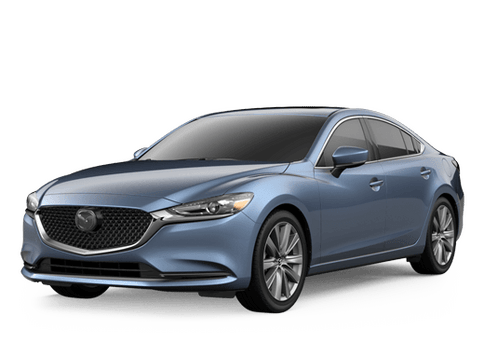 However, the 2019 Mazda CX-9 is able to eclipse its Honda competitor with more passenger seating. Where the Honda CR-V only has two rows of seating and space for five riders, the 2019 Mazda CX-9 answers with a third row and capacity for up to seven passengers. The advantage the 2019 Mazda CX-9 has over the Honda CR-V extends outside the vehicle as well. When properly equipped the Mazda crossover SUV can tow up to 3,500 pounds, with the CR-V topping out at 1,500 pounds. Turbo., 2.5-L, 4-Cyl. Engine 2.4-L, 4-Cyl. 3,500 lbs. Towing 1,500 lbs. 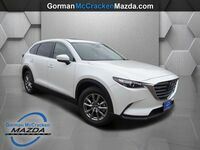 While Mazda has built up a well-deserved reputation for having one of the most fuel-efficient crossover SUV lineups in the industry, they have also maintained performance advantages over key rivals – like the Honda CR-V. All trim grades of the 2019 Mazda CX-9 use the SKYACTIV®-G turbocharged, 2.5-liter, four-cylinder engine attached to its SKYACTIV®-Drive six-speed automatic transmission. The standard output for this powertrain is 227 horsepower and 310 pound-feet of torque. However, owners can get up to 250 horsepower if they use gasoline with high-octane. The Honda CR-V offers a pair of engine options but neither break the 200-horsepower barrier.